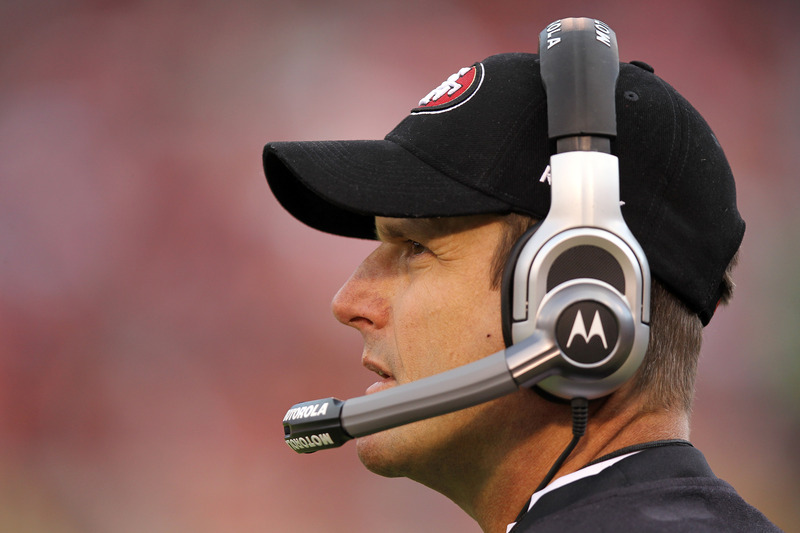 During the 2011 NFL season, San Francisco 49er fans saw miraculously how first-year head coach Jim Harbaugh turned an off track 49er team into a squad that was one step away from representing the NFC in Super Bowl XLVI. But, on-the-field successes cannot compare to the work one can do in His name. According to the Catholic News Agency (CNA), the former NFL quarterback was one of a several volunteers who traveled to Piura, Peru, on an eight-day mission trip to assist Most Blessed Sacrament Parish. The parish’s outreach, according to CNA, a women’s shelter, an orphanage, a drug rehabilitation center, a hospice facility and, most recently, tuition-free Catholic school for kindergarten through 11th graders. According to Harbaugh, the Catholic school was opened in 2011, and has approximately 600 students in attendance. The coach told news agency reporters volunteers helped build 20 homes and packaged and delivered rice and beans to supplement meals to 1,400 families. Harbaugh, who recently completed his third trip to the impoverished town, said he learned about the trip through acquaintances at his parish in Menlo Park, Calif.
“It’s incredible the amount of work they do and they joy that they do it with,” the 48-year-old coach told the news agency. An aspect of the trip that brought the reigning NFL Coach of the Year pride is the steady growth of the parish, headed by Father Joe Uhen since 1993. Harbaugh noted the abundance of individuals who participate in Mass. Outreach to the residents of Piura doesn’t end with the trip. According to the report, Harbaugh said the Santisimo Sacramento helps American families and those in Peru connect through an “adoption.” The program – which Harbaugh is a participant – allows American families to supply scholarships, food, and basic housing items to needy Peruvian families. Harbaugh said the mission trips are gratifying and allows him to put grow as a believer. “The doors that God will open for you by the people you meet or by the circumstances you’re in (allow) your character to be shaped and your spirit to grow,” he said. “Those kinds of doors are opened for (me) here.